Read to learn about Bunny and Art Reiman, Realtors in Monmouth and Ocean counties. Bunny and Art met over 40 years ago. They were introduced by Art’s good friend and Bunny’s brother, Rob. Soon after they were married and began their journey through life together. Soon after their marriage, Bunny started her career in Real Estate. As for Art, he worked in retail management, then computer sales, then ended up flipping homes and working as a contractor. His roots began to show, since his father, uncle and grandfathers were all carpenters / builders. Meanwhile, Bunny was raising the kids and continued to work. Bunny became a senior manager for Radio Shack, managing stores in Red Bank, Middletown and Monmouth Mall in Eatontown. She left to become operations manager for a pest control company before returning to her first passion, real estate. They had four children – twin daughters, a single daughter and a son within a seven year span. 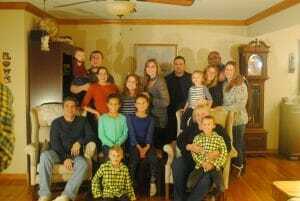 The children produced (so far) seven grandchildren. It’s interesting that each of their twin daughters had twins themselves. In 2003, Bunny and Art teamed up as partners as Realtors. They are noted as one of the premier real estate teams in Monmouth County, and have sold over 400 homes. Working together as a team, they use their experience as they strive to provide the service and expertise necessary to help their clients achieve their real estate goals.